Caley Thistle skipper Carl Tremarco. Caley Thistle cannot afford another slow start if they harbour hopes of getting out of the Championship. 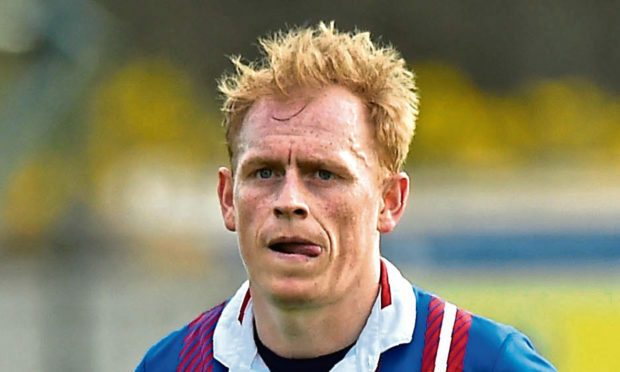 Just six points from their first nine games hampered the Caley Jags last year, as they tried to make an immediate return to the top flight, and Carl Tremarco knows any repeat will mean their chances are all-but over again. The Championship promises to be an even tougher division next season, with Ross County coming down, Partick Thistle joining them, plus Dunfermline and Dundee United intent on getting into the Premiership. Manager John Robertson has done much of his recruitment early, getting Shaun Rooney, Tom Walsh and Angus Beith signed, avoid the trolley dash at the start of the 2017-18 campaign. Robertson brought in 12 players last summer to bolster a squad decimated after relegation, however the core of his squad is in place to improve on the fifth-placed finish achieved in April. Tremarco said: “That’s where we came unstuck last season, if you look at the start we had. We lost any chance of winning the league and it cost us the play-offs. I know people will point to the Dunfermline game but the first two months, we were miles off. We can’t do that this season. There is a more optimistic mood around the stadium than 12 months ago and while financially they will still feel the effects of relegation, Tremarco feels a valuable transformation has taken place behind the scenes. He said: “It no longer feels like a Premiership club and that’s not a good or bad thing. Maybe people need to realise we need to work hard to get back there. We’re not getting the coverage we used to and hopefully the boys that were new last year, now they’ve had a taste of it, know what the league is about. We all want to be in the Premiership and earn more money.